- Assessment of cutting forces by giving due consideration to various parameters like depth of cut, type material & feed rate etc. • Range of force : 100kg in XYZ direction - 200kg in XYZ direction - 500kg in XYZ direction. Capacity: 500Kg in X, Y & Z direction. Mounting Type: 350(L) x 350(W) x 100(H)mm. : to mount on the machine bed. Sensor Type: Straingauge based 350 Ω bridge. Clients can avail Milling Tool Dynamometer from us which is engineered using finest quality components and following international industrial standard. This is simple and easy to understand set up designed to study behavior of cutting forces during Milling Operation. Facility for easy set up. Compact unit. Assessment of cutting forces by giving due consideration to various parameters like depth of cut, type material, feed rate etc. 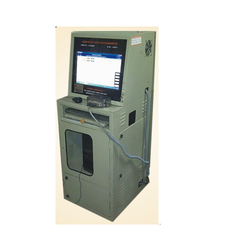 Ease of handling, by having two units Mechanical sensing unit for sensing force. 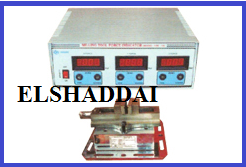 Strain Gauge Indicator with Bridge balancing unit, power supply unit D.C. micro voltmeter. These Milling Tool Dynamometers offered by us finds application in meeting the analyzing demands of the force on Milling Tools. These computerized and digital Milling Tool Dynamometers are precision designed for analyzing forces on milling tool while undergoing milling operations.